First of all, Dundee’s Catalysis unleashed an absolute beast of a new sound on Nothing Left. Edinburgh’s rising force, Perpetua, taught us the meaning of punishment with To Suffer. And even before that, Ramage Inc. worked industriously to bring us their own brand of prog in new single Strive. There seems to be a fire burning north of the border to match that of our talented southern cousins, and it is well worth digging in deep to check it out! Abysmal Torment have let loose a monstrous video for their track The Misanthrope. Taken from their album of the same name, this is just under 3 and half minutes of hard-hitting, Maltese, technical death metal, and it’ll rip your ever-milling neck off! Marking the start of their Gore, Core, Metal and More North American tour, monster mob, GWAR have put out an animated video for Viking Death Machine, from The Blood of Gods, their 2017 album. It’s daft. It’s catchy. It’s fun. What else did we expect? 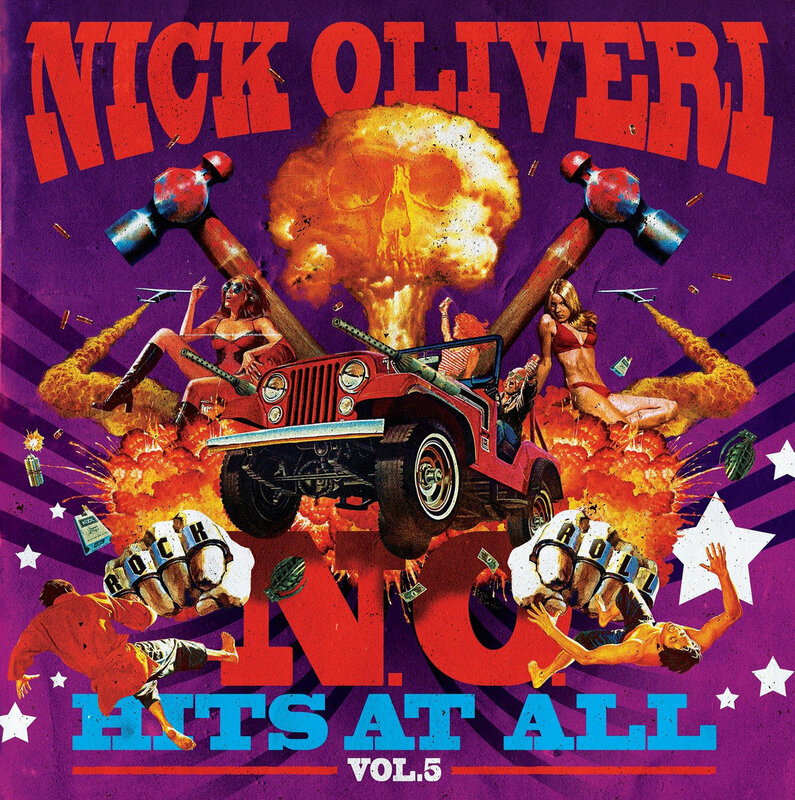 Nick Oliveri‘s latest opus is due for release October 12th. With a selection of limited formats, as well as standard black vinyl and digipak, N.O. Hits At All Vol. 5, features tracks from The Dwarves, Mondo Generator, and other bands in which Oliveri has performed. It is the final release in a series of five. Featuring Marcela Bovio (Stream Of Passion, Ayreon, MaYan), the video for The Goddess by Off The Cross was released October 3rd. Each track from the album, Divided Kingdom, will have a different guest vocalist, including Jonas Renkse (Katatonia, Bloodbath), Tijs Vanneste (Oceans Of Sadness, Van Echelpoel) and more. If you fancy something with a really old school feel, Satan’s Satyrs have premiered The Lucky Ones – taken from their incoming album of the same name – over on CVLT Nation. Fronted by Clayton Burgess (ex-Electric Wizard), this is 70s flavoured, filthy, hot slush. With dates supporting Entombed AD and Vader looming, and recently signing to Transcending Obscurity, Welsh death/doom outfit, The Drowning, have released an interview to mark the 10 year anniversary of their album This Bleak Descent. They are some busy guys! Everything on their Bandcamp page is going at 10% off until October 31st, with the code BLEAK. Edinburgh metal party, Bob Fest, announced the final two additions to the November 3rd line-up; Abaddon and Threshold Sicks. They join Hammer, Tombstone Crow, Iron Altar, Flat Iron, Perpetua, Forgotten Remain, King Witch, and Dog Tired, for what promises to be one of the events of the season! US trad metallers, Corners Of Sanctuary, are currently out on tour in the states, promoting their fifth album, The Galloping Hordes. As well as the lyric video below, they also recorded a music video for the track Hail, Hail in a very skinny two hour window, while in Germany. 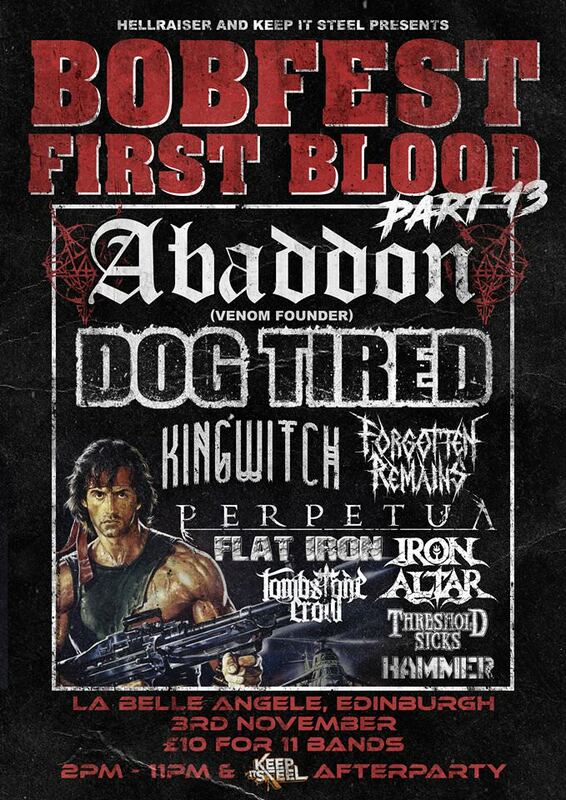 Posted in Latest News and tagged Abaddon, Abysmal Torment, Bob Fest, Catalysis, Cirith Ungol, Corners Of Sanctuary, Divided Kingdom, Doomed Planet, Dragon Fire, GWAR, Hail Hail, Monster Magnet, N.O. Hits At All Vol 5, Nick Oliveri, Off The Cross, Perpetua, Ramage Inc, Satan's Satyrs, Slow Dragon Music, The Drowning, The Galloping Hordes, The Goddess, The Lucky Ones, The Misanthrope, The Planet Of Doom, This Bleak Descent, Threshold Sicks, Viking Death Machine, When The Hammer Comes Down, Witch's Game.